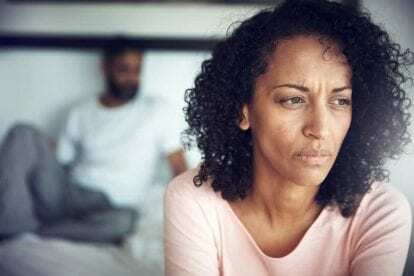 More women than men are diagnosed with depression, and while the diagnostic criteria are the same, there are some critical differences between how men and women experience this mood disorder. Women have more sadness and guilt, they express those feelings more clearly, and they often have co-occurring anxiety and eating disorders. Women are also vulnerable to types of depression that men do not experience, including depression during and after pregnancy, before menstruation, and during perimenopause. 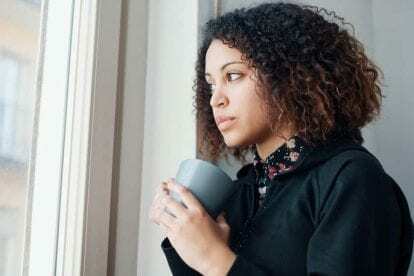 Anyone may develop depression, but for reasons that are not totally clear, women are twice as likely to be diagnosed with major depressive disorder. They are also more likely to have other types of depression including persistent depressive disorder, seasonal affective disorder, and the type of bipolar disorder that includes depressive episodes. Women may have some different symptoms of depression than men. They tend to express more sadness and to feel more guilty and worthless than men, who often express depression through anger and aggression. Because women are more susceptible to depression, it is important for individuals to know what the signs are and to get diagnosed and treated. With good treatment it is possible to feel better and to be able to manage the symptoms of depression. A diagnosis of major depression has to include at least five of these symptoms. Of the five or more symptoms, at least one has to be either loss of interest in activities or depressed mood. The symptoms also have to be severe enough to cause impairment and a lot of distress. The diagnostic criteria and symptoms for depression are the same for everyone, but there are often noticeable differences in the signs of depression in men and women. For instance, men and women generally express their emotions differently. A man with depression is more likely to get angry and to blame others. Women may also experience physical symptoms of depression, including pain or stomach upset. Women are more likely to express their sadness as sadness, to blame themselves for how they feel, and to develop unhealthy secondary habits because of depression, like emotional binge eating. Other symptoms that are more common in women include feelings of guilt and shame, anxiety, and weight gain. Women are more likely to attempt suicide but are less successful in doing so than men. There are a few types of depression that only women are susceptible to and that point to hormones as triggers or risk factors for low mood. Premenstrual dysphoric disorder (PMDD) is similar to premenstrual syndrome, or PMS, which many women experience. PMDD is more severe, though, and can cause the same symptoms as major depression as well as cramping and other physical symptom typical of PMS. The last symptom is unusual and very serious. In rare cases, a woman with postpartum depression may experience psychosis, which may cause delusions, hallucinations, confusion, obsessive thoughts, and paranoid thoughts. It may also cause a mother to have terrible thoughts about causing harm to herself or her baby. These symptoms should be taken very seriously and need to be treated as an emergency medical situation. Another time in a woman’s life when hormones are changing is during the transition to menopause. This is called perimenopause, and it can cause a variety of physical and mood symptoms. It can be challenging and uncomfortable to go through this process, but depression is not normal. Any symptoms of major depression, such as a low mood, loss of interest in activities, irritability, difficulty sleeping, and anxiety, should be addressed. Experiencing perimenopausal depression may seem to many women like a natural part of the process. This may be explained by the fact that most of the women who have depressive symptoms at this time in their lives never struggled with depression previously. One study found that one out of six women going through perimenopause who had never had depression developed depressive symptoms. It is important to realize that perimenopausal depression is a mental health issue that can be managed with treatment. 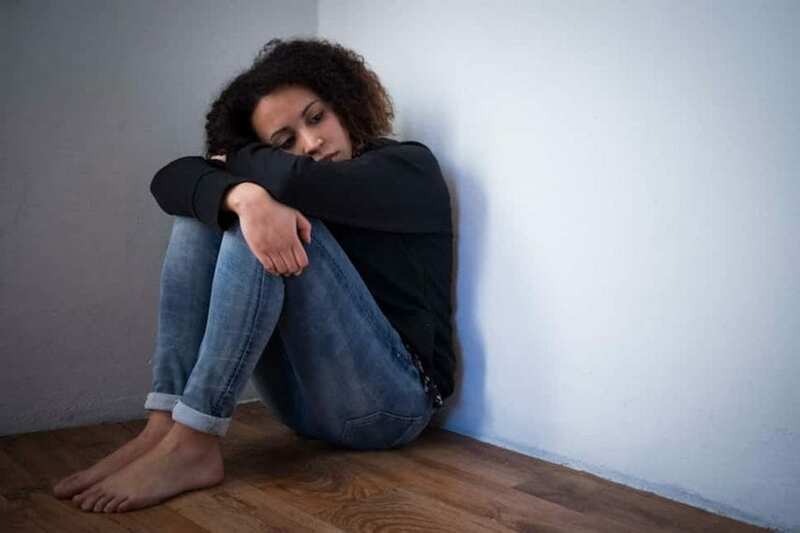 Women who struggle with depression are more likely to have co-occurring disorders, like anxiety disorders, eating disorders, and substance use disorders. The symptoms of anxiety disorders include excessive worry that is out of proportion to a person’s situation, restlessness, fatigue, trouble concentrating, muscle tension, irritability, and difficulty sleeping. Eating disorder symptoms vary depending on the type but may include binge eating, emotional eating, eating alone and hiding food, feeling guilty or disgusted after binge eating, an intense fear of gaining weight, unhealthy restriction of calories, or purging after binge eating. Signs of substance use disorders include using drugs or alcohol in spite of them causing problems, out-of-control use of substances, spending a lot of time using, and experiencing tolerance and withdrawal. The signs of depression are important to recognize, because this is a chronic mental illness that will not go away without professional treatment. Women need to be aware that there may be differences in how they experience depression compared to men and to know when to reach out for help. With dedicated treatment that includes medication and therapy, the symptoms of depression can be minimized and managed successfully.